It’s no secret that the rapid advance of digital aviation technologies, globalization and economic turbulence have created unprecedented challenges to commercial airlines and corporate aircraft owners. Two decades of aviation experience serving leading aircraft manufacturers, airlines and aviation corporations around the world, combined with our highly trained staff, advanced technologies and state-of-the-art avionics test equipment, make A PLUS AVIONICS the obvious go-to source for cost-effective aviation electronics service, sales and bench repair. A PLUS AVIONICS is a FAA 145 certified repair station (CRS No. 5AXR435B) and fully ISO 9001-2008 compliant. But our commitment to customer satisfaction goes far beyond a number. 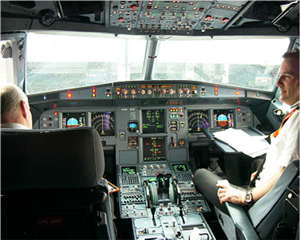 Every A PLUS AVIONICS employee, from customer representative to technician to company officer, is determined to provide the highest quality individualized service, seek out and deliver the best possible technologies for your specific applications, and achieve the most cost-effective avionics solutions. We will keep the promises we make, deliver on time, and strive to maintain a true partnership with every customer.